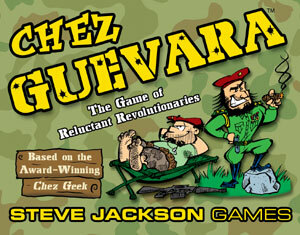 Chez Guevara is a stand-alone game that puts a new spin on the award-winning Chez Geek. Instead of roommates, you and your friends are grubby, desperate guerrillas, struggling for survival, freedom, and Slack in the stinking jungle! The food is bad, everybody is shooting at you, and the Leader is nuts. But it could be worse . . . and it probably will be. Harass those of lower Rank by having them Dig Holes, inflicting KP on them . . . and then having them Fill In Holes. Raid the locals for supplies. Avoid being Denounced. Spend your money and precious time to gather enough Slack to escape back to civilization. Chez Guevara uses the Chez Geek mechanics, with a couple of new twists. 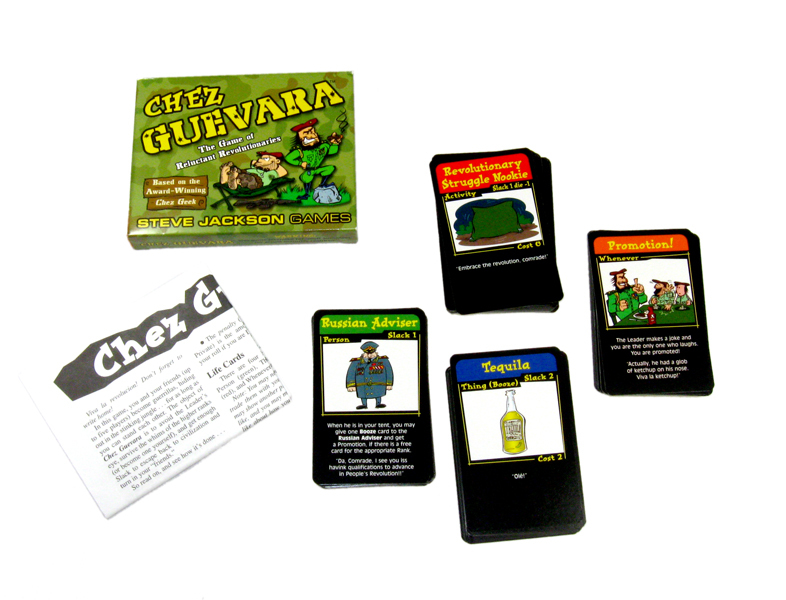 Sure, you could combine any of the Chez games with Chez Guevara, but that'd be crazy!